Six police officers are to face misconduct charges over the Victoria Climbie case, four years after she was murdered in north London. They are alleged to have failed to perform their duties over incidents before the eight-year-old's death. They worked for the child protection teams which interviewed Victoria's carers - the people later convicted of her murder - before her death in 2000. 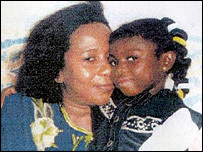 Victoria died after months of beatings and neglect at a flat in Tottenham. She had been known to the two police child protection teams, four social services departments, two housing authorities and the NSPCC. The Brent and Haringey child protection teams dealt with Victoria's great aunt Marie Therese Kouao and Kouao's boyfriend Carl Manning, both now serving life sentences. But they never interviewed Victoria, visited the flat where she eventually died, or interviewed informants who said Victoria was being abused. Lord Laming's inquiry found the child protection system missed at least 12 chances to save Victoria's life and he said it was "amazing" no-one had done so. Six officers - one Pc, three sergeants, a detective inspector and a detective chief inspector - should face an internal tribunal, the Independent Police Complaints Commission (IPCC) said on Friday. The tribunal, which follows an inquiry by the Metropolitan Police Directorate of Professional Standards, can sack officers if found guilty, or require them to resign. IPCC Commissioner Laurence Lustgarten said: "We understand that this announcement may awaken painful memories for the family, but I hope this is another step forward in their search for justice." A chief superintendent and a detective inspector are to receive "words of advice" for failing to perform their duties. And a decision on whether two senior officers should face disciplinary measures is still being considered. The IPCC said Lord Laming's inquiry, which reported in January 2003, was one reason why misconduct charges had been delayed. But the Metropolitan Police Federation, which represents rank-and-file officers, said its legal advisers would study the charges closely. Chairman Glen Smyth said: "Victoria's death had an immense impact on these officers - which has stayed with them to this day. "To have to wait four years for a decision on whether there are to be disciplinary charges is unacceptable - justice delayed is justice denied." He said the officers were being blamed for organisational failures, the burden for which "goes close to the very top". 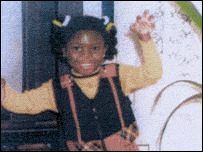 Victoria's parents, Francis and Berthe Climbie, sent her to England from the Ivory Coast, in the hope she would receive a better education. Their solicitor, Raju Bhatt, said: "They have never been interested in scapegoating. "They have always seen the responsibility for the tragic ordeal of their daughter to lie with the senior management of the various authorities who failed her." He added: "They appreciate that individuals within these various authorities nevertheless have to be brought to account for their actions, but they consider that a matter between management and those individuals." A date for the tribunal is due to be set, Scotland Yard said. "The decision has been welcomed by Victoria's parents"